Lori Spigelmyer once said, “Who needs television when you have cats?” Check out these cat friendly titles from our digital collections and prepare to be entertained! 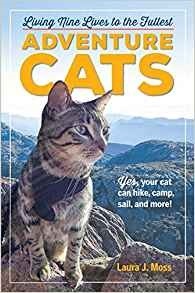 Just when you thought you knew all there was to know about cats comes the ultimate—and unexpected—guide to taking your cat into the wild. Here are cats walking on a leash. Cats hiking on a leash. Cats tramping through snow. Cats camping. Cats kayaking, canoeing, even surfing—yes, cats who love water. When animal writer and active hiker Laura Moss couldn't find an online resource for hitting the trail with her cat, she created one. 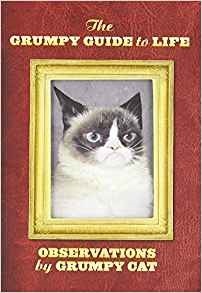 This hilarious parody yearbook explores the ups and downs of a year in the life of the senior class cats at Paw Paw High School. This active senior class did a lot in their last year of high school: The Glee Club Meowlers recorded their first album, "Songs to Lick Fur To," the drama club performed Cat on a Hot Tin Roof, the Ratters football coach, Fred Ball Whiskers, retired, and Sophie McMeow was voted "Most Chased." 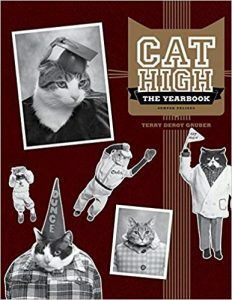 Filled with cat class photos, candid shots, and handwritten notes to the yearbook's owner, Nelson "Gill" Fish, Cat High revives the classic parody yearbook in all its black-and-white, feline-filled glory. The cult classic is back! This 15th anniversary edition keeps all the original mystery and magic of cat dancing delightfully intact. 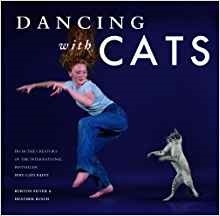 Perpetually ahead of its time, Dancing with Cats presents scores of delightful and inspiring photographs of people and cats engaging in their favorite dance routines as well as moving testimonies of the personal transformations brought about through this uniquely joyous form of human-animal connection. Dancing with Cats will have a new generation of cat lovers (and their cats) jumping for joy-and cutting a rug-in no time.